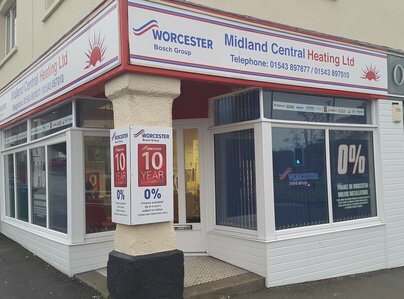 Midland Central Heating are Accredited Worcester Bosch Diamond Installers, this means you get the very best level of workmanship, the best customer support and the best guarantee package available anywhere in the UK, with guarantee periods up to a maximum of 10 years from date of installation. We are now able to offer 0% Finance through Hitachi Finance. With many years experience, we have the knowledge and expertise required to ensure that you receive nothing but the best level of workmanship and the best level of customer service and support in the industry for both domestic and commercial work. Don't take our word for it, take a look at our reviews on Checkatrade, The Best of Cannock and Midland Central Heating Website. Alternatively you can visit our showroom situated in the centre of Cannock, where we have all our products on show for you to take a look at and ask for any advice. Very pleased with all aspects of this company, from quote to completion of work, very friendly, competitive prices and excellent workmanship. 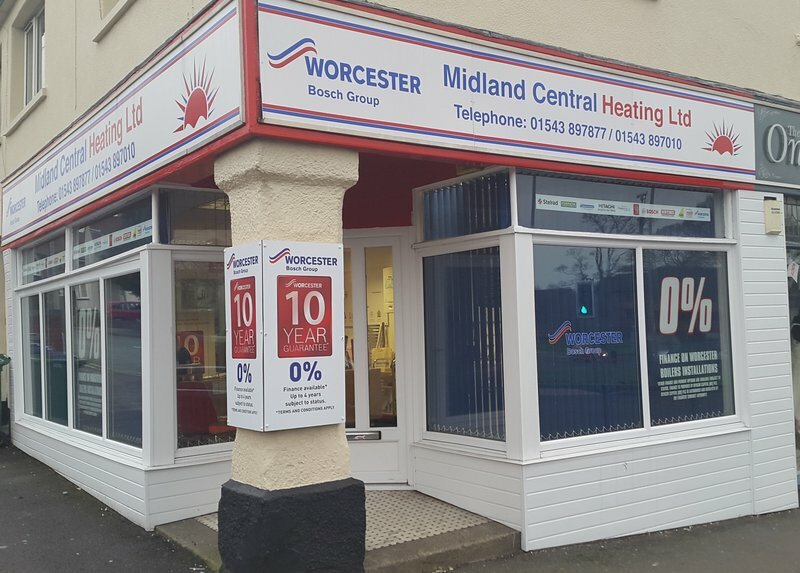 Great customer service provided by everyone at Midland Central Heating. Very knowledgeable staff in office & excellent service & workmanship from installers. Excellent service from the first visit, I was happy and felt comfortable with the service I was receiving. Very professional workforce, who cleaned up and left everything as they found it. Highly recommended. Installed new boiler and all associated works involved. Left site clean & tidy. Efficient courteous and trustworthy. 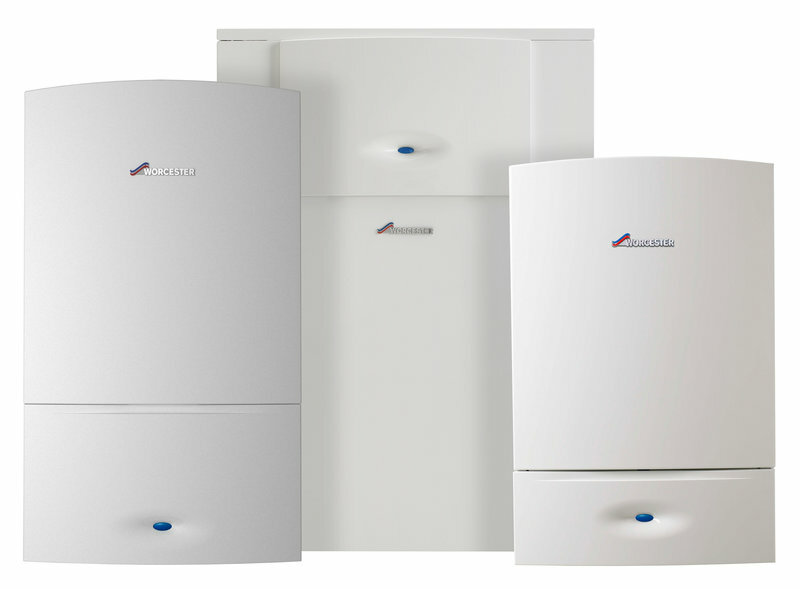 Great service lovely new boiler fitted at a good price. Arrived on time very friendly and helpful team, no mess left. Fitted in half a day, no extra charges. A first class job from start to finish. Engineers very efficient, courteous, a pleasure to have working in my home. Excellent, courteous, professional service at all stages from initial introduction, installation, completion with superb customer services support our telephone. Splendid team approach at all stages. From the first contact they were helpful and efficiently dealt with my enquiry. On booking them to carry out the work there was no delay and the job was completed professionally to my satisfaction.